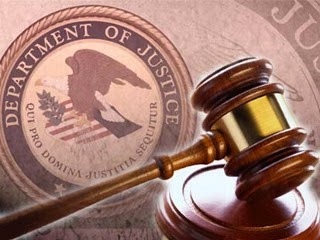 Eric V. Bartoli, who was indicted in 2003 and was a fugitive for more than a decade, is in custody in the United States, said Steven M. Dettelbach, U.S. Attorney for the Northern District of Ohio, and Stephen D. Anthony, Special Agent in Charge of the Cleveland Division of the FBI. Bartoli is scheduled to appear before U.S. District Judge John Adams Thursday at 1:30 p.m. in Akron to be arraigned on a 10-count indictment. Bartoli is accused of operating a large-scale ponzi scheme from 1995 through 1999. Bartoli allegedly created and operated a company by the name of Cyprus Funds, Inc., which was based in Doylestown, Ohio and incorporated in Central America. Bartoli and his co-conspirators allegedly operated Cyprus to sell certificates of deposit and unregistered mutual funds. Cyprus raised approximately $65 million from an estimated 800 investors in Latin America and the United States. Some of Cyprus’s victims include retirees, according to court records. Bartoli was sued in 1999 by the Securities and Exchange Commission on charges involving the Cyprus Funds, Inc. Bartoli did not appear at a scheduled hearing regarding the SEC charges. He was subsequently found in contempt of court and a civil arrest warrant was issued. Bartoli had fled Ohio and was arrested in New Hampshire. Bartoli was not detained at that time and became a fugitive. A 10-count federal indictment was filed against Bartoli in the U.S. District Court for the Northern District of Ohio in October 2003. He was charged with conspiracy, securities fraud, sale of unregistered securities, wire fraud, mail fraud, money laundering, and attempted income tax evasion. Bartoli has been featured on shows including American Greed and Life on the Run, among others. Bartoli was taken into custody by the Peruvian National Police in Lima, Peru, in 2013. The operation was a joint effort between the FBI, Diplomatic Security Service, and the Peruvian National Police. This case is being prosecuted by Assistant U.S. Attorneys Antoinette T. Bacon and Miranda Dugi following an investigation by the Federal Bureau of Investigation, Internal Revenue Service and the Securities and Exchange Commission.